Grip on Sports: How many times can Jerry Dipoto be allowed to trade for one guy? Thu., Nov. 8, 2018, 8:30 a.m.
A GRIP ON SPORTS • Your cell phone rings. You look at the caller I.D. It is Mariners’ general manager Jerry Dipoto. If you happen to be one of the other 29 major league general managers, you certainly don’t let it go to voice mail. Read on. • It seems as if Dipoto always comes bearing gifts. And you don’t have to be wary. But what’s reportedly going on in Seattle today should be his last gift to the rest of baseball. It is egregious enough Dipoto should be run out of town on a Sound Transit bus. 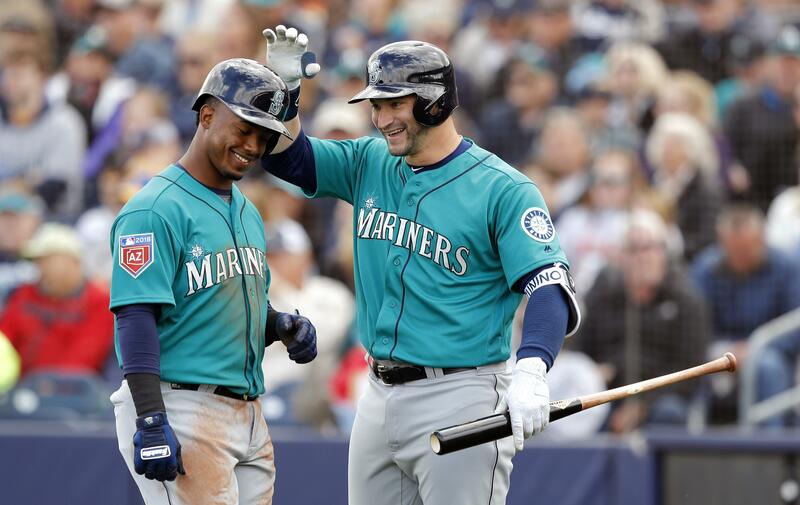 No, it’s not that Dipoto is trading Mike Zunino. That time has come. It is who Zunino is being traded for that is the sin. You may remember Mallex Smith. He was once a Mariner. For 77 minutes. That’s not even enough time to enjoy a Starbucks’ latte. Or a Top Pot doughnut. One of Dipoto’s early trades as Mariners’ general manager involved Smith. Dipoto sent left-handed pitchers Luiz Gohara and Thomas Burrows to Atlanta for Smith. But that was just a setup. Somehow in those 77 minutes, Dipoto finalized a deal with Tampa Bay to send Smith and left-handed pitcher – notice a trend here? – Ryan Yarbrough to Florida for left-handed pitcher Drew Smyly. The deals made sense. The Mariners were giving up young pitching, young left-handed pitching, to get a solid veteran starter. Except it didn’t work. Smyly blew out his arm and never pitched an inning for the M’s. Bad luck. Meanwhile, Smith became a solid top-of-the-lineup threat for the Rays, hitting almost .300 and leading the American League with 10 triples last season. But the breakout star of the trade was Yarbrough. He won 16 games for Tampa last year. His earned run average was under 4.00. He was what Smyly was supposed to be. OK, these things happen. But like a coach chasing a missed first-quarter extra point the rest of the game, Dipoto is throwing more at Tampa, trying to replace someone he once had for just a few minutes. If and when the trade is finalized this week, after everyone passes physicals, the M’s will have ended up trading basically four left-hander pitchers, one of whom was exceptionally successful last season, a catcher and an outfielder for Smith and a handful of others who never made a dent in the M’s roster. The worst part about it is the nagging suspicion Smith may not stay in Seattle for long. That he will be part of another trade Dipoto is putting together. That’s what Dipoto does. And there is the other nagging worry. The one that seems to play out often with young players the M’s trade away. You know, like Yarbrough. Or Smith. 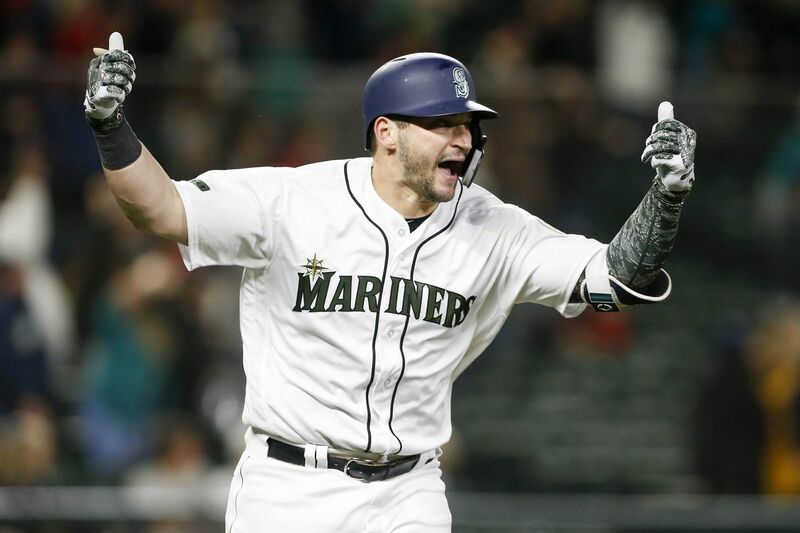 In that nightmare scenario, Zunino finally puts all his talent together, stays healthy and plays 150 games, hitting 35 bombs, driving in 100 runs and getting his average up to .234. Oh, and throws out Mallex Smith trying to steal second in a key game that ends up keeping the M’s out of the playoffs. WSU: For some reason there is this nagging worry this Saturday is really dangerous for Washington State. Colorado is on the ropes. The Buffs have been dealing with multiple injuries, all of which Theo Lawson documents in his preview. But I have this worry that Laviska Shenault Jr. will return to the lineup for this one, run all over the Cougars and their magical run will end in a close loss. Then again, I was one of those guys who thought WSU would win four or five games, so there’s that. … Theo also has his picks for the conference’s games as well as a transcript of yesterday’s live chat. … After practice, Theo talked with Mike Leach and defensive coordinator Tracy Claeys, a nominee for the Broyles Award. … The Colorado defense has struggled recently and injuries are a big part of it. Elsewhere in the Pac-12, we have some more picks to pass along. … There really hasn’t been much of a home-field advantage when Utah and Oregon play. … Oregon State hopes to slow Stanford’s passing attack. … California has slowed everyone’s passing attack and should do the same to USC. … UCLA has a couple of running backs with higher aspirations than just defeating Arizona State. … In basketball news, Arizona’s rebuilding year is underway. Gonzaga: If you watched the Zags’ blowout of Idaho State, you may have gotten your first glimpse of guard Geno Crandall. Jim Meehan introduces you to the newest Zag in this story. … Saturday night’s game with Texas Southern will be on SWX and ROOT instead of KHQ. Jim has that story as well. … Larry Weir’s latest Press Box pod looks back the season openers this week. … The Gonzaga women opened their regular season last night, using a first-half surge to breakaway from visiting Montana and winning, 76-52. Jim Allen has the game story and Dan Pelle has the photographs. … Around the WCC, Saint Mary’s opened with a win but also lost a couple players. … BYU is lamenting its poor outside shooting. EWU: Before we get to the usual football story, we want to draw your attention to an unusual one. That would be Ryan Collingwood’s story on Ashley Valdivieso’s good deed on one a flight carrying the women’s soccer team and one lucky passenger. … The football story? That would be Ryan’s piece on UC Davis receiver Keelan Doss, who has drawn comparisons to, oh forget it. There is only one Cooper Kupp. … UC Davis is still trying to figure out this polling thing. … Elsewhere in the Big Sky, Weber State's defense doesn't care what the challenge is. … Montana State is wary of Northern Colorado's passing attack. Idaho: Vandals coach Paul Petrino's ties to Montana run deep. Preps: Yes, it is playoff time in Washington. Dave Nichols has a preview of this weekend’s football games while Dan Thompson looks at the volleyball matches. … Justin Reed has the story of a couple of St. George’s teammates leading into the soccer roundup. Seahawks: As is the case around the league, the Hawks are beat-up heading into their showdown with the Rams. … Los Angeles has one of the better passing attacks in the NFL and will test the Hawk secondary – and the pass rush. … Seattle is halfway through the season. … Doug Baldwin is contemplating his future. Mariners: By the way, Zunino was named the game’s top defensive catcher by one group. So his trade value may never be higher. Sounders: This is it for Seattle. Win tonight at home against Portland by the right score or the season is over. Published: Nov. 8, 2018, 8:30 a.m.